Musician and academic Louise Mulcahy comes to Wexford Library on Sat, March 2 (1pm) to look at the lot of women uilleann pipers in Ireland over the past 200 years. This FREE EVENT is part of Wexford Trad & Folk Weekend and is brought to you by Wexford Library in association with Craobh Loch Garman, CCÉ. Advance booking advised as space is limited. Tel 053 9196760. Described by Matt Molloy as one of the finest musicians of her generation, Louise is not only a member of a musical dynasty, she is a researcher in Irish traditional music and a much sought-after tutor on both uilleann pipes and flute. This lecture, with live performance, will trace the history of women in uilleann piping throughout the 19th and 20th Century. The uilleann pipes have long been associated with male players and throughout history have been seen as part of a very much male dominated tradition. Historical records and publications have featured many male performers but little documentation or publications relate to the women who played the uilleann pipes over the last two centuries. Throughout 2018, Louise worked on the documentation of women in uilleann piping. She has unearthed material, photographs and documentation on these important women, all of which is of cultural, musical and historical significance. Louise is bridging the gender divide "aided in no small measure by her ground breaking musicianship” (The Irish Times). Louise, a member of the well known Mulcahy Family of Abbeyfeale, Co. 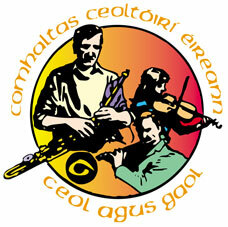 Limerick, is a well established performer on the uilleann pipes and flute. She is the only person in the history of Comhaltas Ceoltóirí Éireann to have won 4 senior All Ireland titles on the same day. She was awarded Female Musician of the Year at the Live Ireland Awards 2017, 2015 and previously in 2005 with her sister Michelle. The Mulcahy family has travelled the world performing in America, Canada, Asia, New Zealand, Australia and Europe. In 2014, Louise released her highly acclaimed début solo album titled “Tuning the Road”. Alongside four album releases with father, Mick, and sister Michelle, Louise also appeared a number of years ago on Na Píobairí Uilleann’s compilation of young pipers entitled “A New Dawn’. She also featured on the Uilleann Pipes UNESCO Heritage Bid short film submitted by the Department of Arts and Culture in 2016. On this video Louise presented spoken material and performed on the uilleann pipes. She is a regular contributor to many music programmes, nationally and internationally, on television and on radio, and has also presented the traditional Irish Music series “Geantraí” on TG4.